The one and biggest existing bronze sculpture group, dating back to the Roman age, is located in Marche, in Pergola, whose municipality dedicated a museum to these finds. Effetto Luce has had the honour of collaborating in this project with the well-known physicist Paco Lanciano, the advisor for the TV shows Quark and Superquark and, together with Piero Angela himself, curator of the permanent exhibition of the Domus Romane of Palazzo Valentini, of the Foro di Augusto and of the Foro di Cesare. 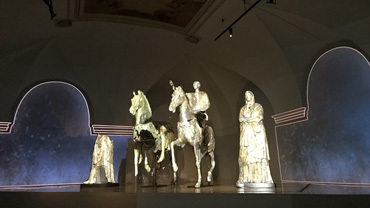 The bronzes are permanently exhibited in the Museum of Golden Bronzes of Pergola in a hall that, for this occasion, was restored and equipped with a multimedia system telling the story of the sculptures and their origin. The layout has already been successful and, as it is always about great results, what really made it was the synergy of the working group: the municipality of Pergola and its technicians, the superintendence and all the people who have given their support. A new committment for Effetto Luce that, as a partner of the shooting of the new film by Simone Riccioni (the well-known actor from Marche), “La mia seconda volta”, cooperated to promote people and places of its territory. Effetto Luce contributed, in cooperation with the scenographers, to make the set evocative. The movie, in the Italian theatres right now, was shooted entirely in Marche in Macerata, Civitanova, Corridonia, Recanati, Montegiorgio, Montegranaro e Porto Sant’Elpidio. “La mia seconda volta” tells about choises and their consequences, especially the ones of young people along their growth; an educative movie, that is going to be projected also in the schools in order to sensitize youth. 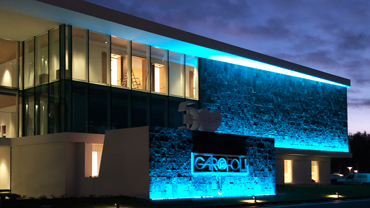 The new plant of Garofoli Porte, designed by Architect Enzo Eusebi, is born under the sign of light, with a lighting design by Effetto Luce. 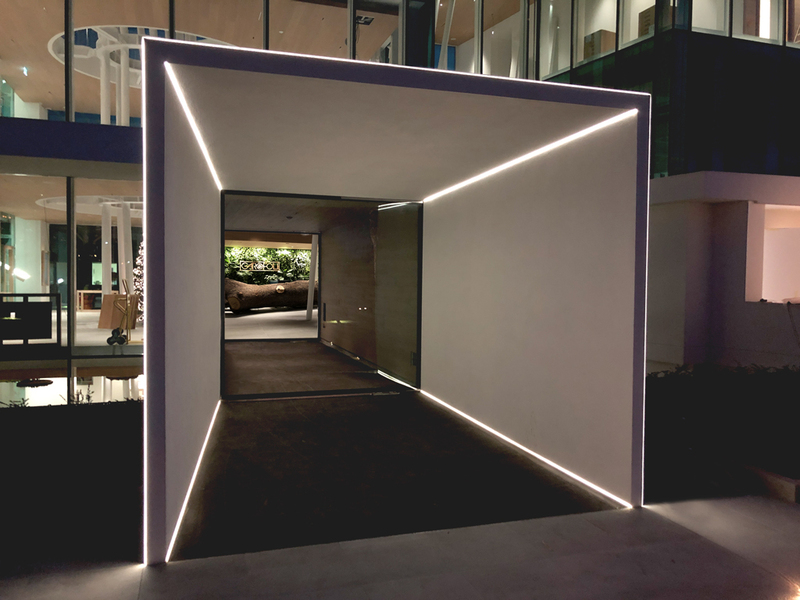 The outdoor lighting follows the change of structures of the building. 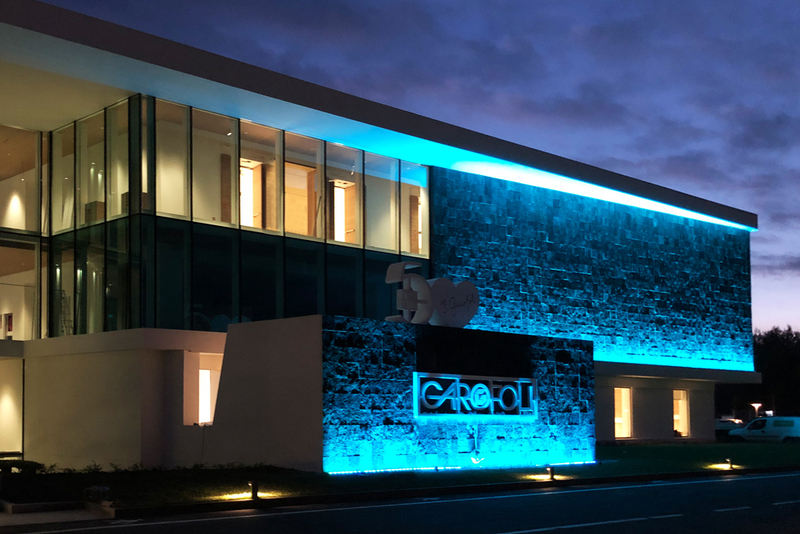 The grazing light enhances the texture of the portion of façade covered with cork; the parallelepiped entrance is highlighted by a minimal and thin light line; for the crystal section the lighting comes from the inside, so that it looks like a lantern effect. All the areas are in contrast but complementary, because the light always aims to reading into the volumes of the structure. 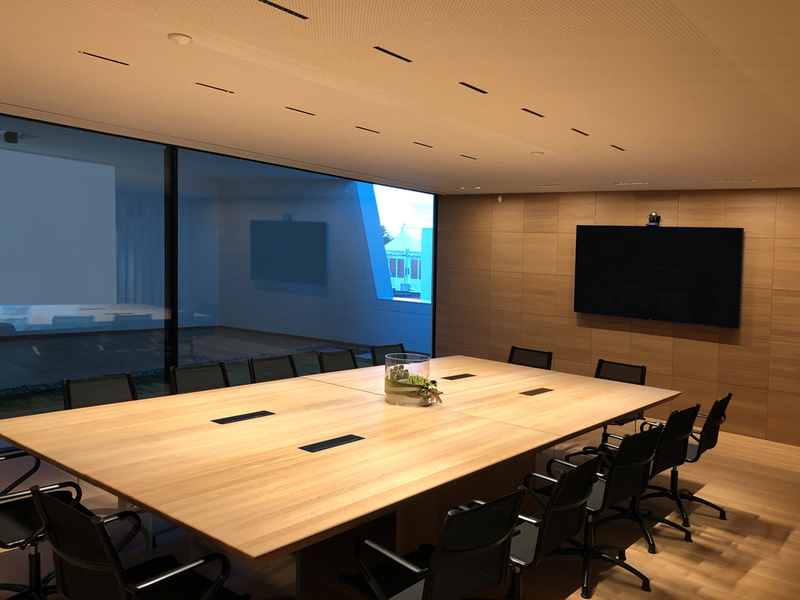 For the indoor areas we design a special recessed fixture, that is installed in the wooden false ceiling. The LED point-source is backward than the ceiling line, so that the lighting is uniform and comfortable, with no glare. Being the light sources hidden, the light and the spaces have the leading role. 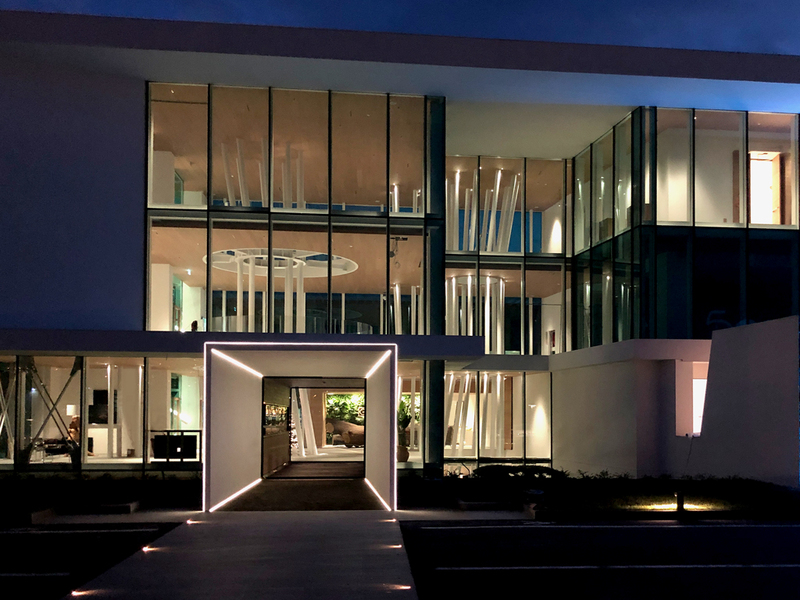 A comfortable environment, the right atmosphere, suitable for the different surroundings and moments of the day, so that people enjoy the rooms with the top of comfort, well-being and emotions.